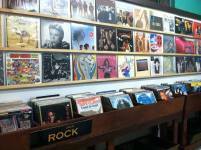 The only record store in downtown Ventura. Buy and sell new and used records, cds, dvds, posters, and t-shirts. Close to restaurants, shopping, parking, concert and movie theaters, and the beach, Jockamo is a great place to visit.